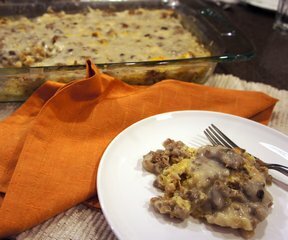 Do you want to have breakfast ready to put in the oven without having to mess around that morning? This egg bake is easy to put together and you do it the night before. It is delicious and there will be no leftovers. 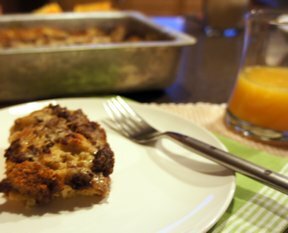 In 9x13" baking dish, put bread cubes, sausage and cheese. Beat eggs and add 2 1/4 cup milk. Pour over bread mixture. Refrigerate overnight. In the morning, combine soup and remaining 1/2 cup milk. Pour over top and bake at 350° for 1 1/2 hours. 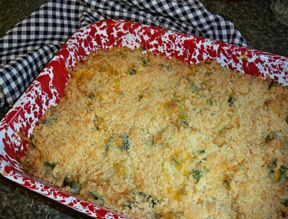 "My favorite egg bake! My only issue is the tiny bits of mushroom since my kids aren't mushroom fans. 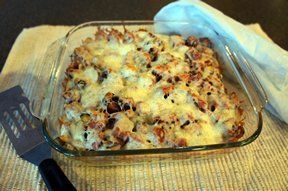 Even though they love the egg bake, seeing the mushrooms gives them something to complain about :) It wouldn't be the same without the cream of mushroom soup, though."